I have to admit that I did not read the description of Nowhere Ranch when I bought the ebook or the audiobook. I had recently read a book by the author and loved her writing style, so I snagged up both editions at seriously low savings. So keep that in mind when I say that I was not expecting the level of kink that occurs within. I went in blind and I loved it. Roe ended up being in the right place at the right time and stumbled upon the man that was not only perfect for him, but for whom he was perfect for. 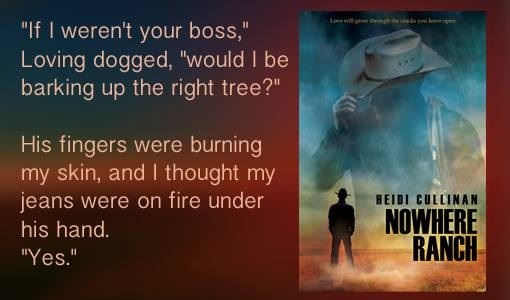 While I was initially hesitant regarding Haley, she turned out to be a wonderful addition to the story and Roe's life – one who was not afraid to stand up for him or meddle in his life. This is not the first audiobook I've listened to that was narrated by Iggy Toma, but I found him to be just as impressive in bringing the characters to life in Nowhere Ranch as I was during previous audiobooks. I was never confused as to who was speaking (or thinking) and I enjoyed listening to his narration. Between Cullinan's writing and Toma's narration, what started out as background noise while I worked on the computer, soon became hours of engrossing entertainment that prevented me from starting another book until I finished Nowhere Ranch. 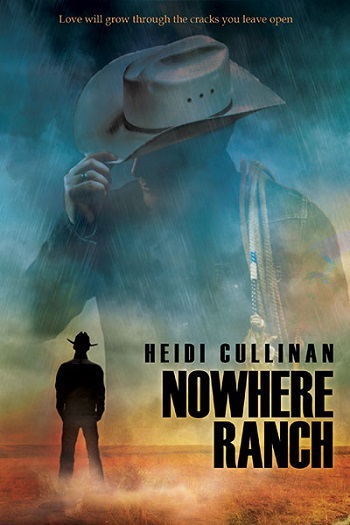 Angela reviewed her personal copy of Nowhere Ranch by Heidi Cullinan, Narrated by Iggy Toma for this post.